HomeLatest from EU Member StatesOrganic Participatory Guarantee Systems – a Brazilian model. The European Union is currently working on a new legislation regarding organic agriculture. Among the main changes, they recommend to promote group certifications for small food producers. “Group certification” is an alternative to third-party approaches. It refers to an Internal Control System (ICS) in which both the third-party certification body and the food producers could take part in the certification process. But why don’t we go one step further and go for the development of Participatory Guarantee Systems (PGS)? PGS involve mainly peasants, consumers, environmental NGOs and local consultants. Such a system is based on trust from all the stakeholders and their participation in controlling the farms. This is possible because all of them share a similar vision and agree on specifications. It is also a way to gain the trust of the consumers through more transparency in the certification process. What would be the interests of using such an approach in Eastern Europe? 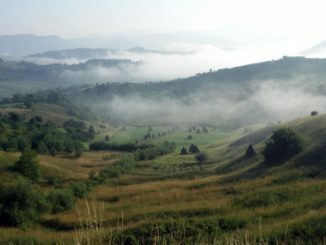 In Romania, according to the government, about 400,000 ha of land are organically certified. It represents 3% of the total Utilized Agricultural Area of the country. This percentage has been increasing since organic farmers received subsidies from the EU. 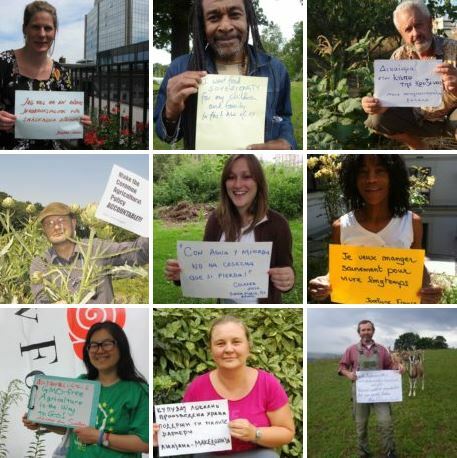 Nonetheless there are a lot of smallholders who produce organic food but cannot label it. Firstly, it requires a lot of paperwork and secondly it is not free because the control visits and the administrative costs have to be covered. According to Bio Romania Association, third-party certification costs around 250€ per year in Romania. But many small-scale farmers cannot afford it. In 2010, the Romanian average Standard Output (representing the economic size of the farm) was 2,700 €/holding. As a comparison, the average SO in France was 98,300 €/holding. Thus, PGS would be a cheap way for Romanian peasants to reach local consumers and to gain their confidence by distinguishing from the supermarkets’ standardized products. It is also a way for low-income consumers to access affordable organic food. Let’s have a look at the interesting case of Brazil to see what can be done to respond to the marketing issues of organic smallholders. Brazil, like Romania, has a strongly contrasted agriculture with both highly industrialized farming and small scale family farming. In this country, industrial agriculture and large landowners are historically well-developed and control more than 75% of agricultural lands. Yet, family farming represents 84% of all the agricultural holdings and employs 77% of the agricultural labor force. 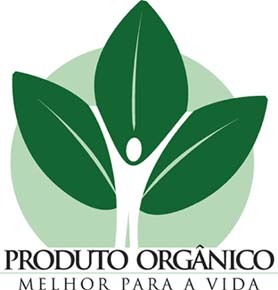 At the same time, the recent controversy about the quantity of ingested pesticides by Brazilians must push the government to support the agroecology approach. Unfortunately, such a way of production was often inaccessible for the 4.3 million Brazilian family farmers: first of all, because of a lack of information and training, but also because of the inability to promote their products due to the expensive cost of third-party certifications. In order to make organic production more accessible for the small farmers and also for the consumers, members of civil society have started to seek recognition of PGS. Finally, the State enacted a law in 2007 that recognizes not only third-party certification but also PGS and the Organization of Social Control (OSC) without certification. PGS brings together consumers, producers and public or private advisors and could be created in a local level. 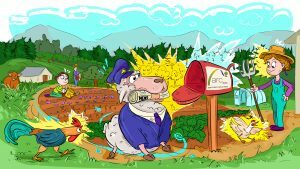 They have to be approved by a decentralized entity of the Ministry for Agriculture and provide information about its farming members. 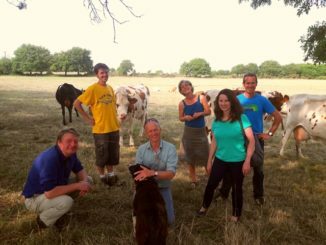 The OCS is an exception for family farming when it comes to direct selling. It allows producers to sell organic products without the need of certification. They should however be part of this OCS (which could be an organization, a union or a cooperative). Their role is to keep in touch with the local state commission for organic production in order to be aware of the technical standards. 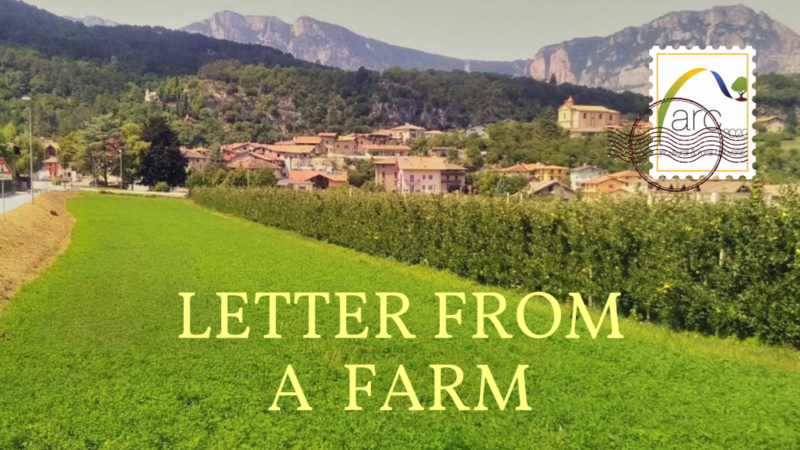 Establishing close relationships between consumers and farmers is a way to ensure the higher quality of products; nevertheless, consumers can also visit the farm if they want more transparency. This social control could be interesting for the Romanian case, as family farming and direct selling on locals markets is a strong feature of this country. One of the strengths of this system is that it brings a standardized labeling (see picture) while taking into account the local issues. 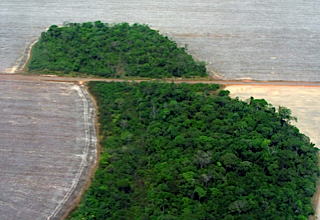 The Brazilian government reports that in 2013 there were more farms organically certified by Social Control than by a third-party certification body. In conclusion, there are plenty of ways to set up PGS. Even if there are no studies yet on the economic costs of this kind of certification (indeed, training the producers/consumers to do the control requires time and money), we could still learn from the Brazilian example and adapt it to the Eastern European context. Doing the same as in Brazil would require an important consultation process between the State and civil society representatives. Meanwhile, local stakeholders could get organized and start participatory guarantee initiatives. Thus, some aspects require more attention to ensure the success of such a project: on one hand, the administrative process should be as simple as possible; on the other, a lot of different stakeholders must be involved, especially the consumers, to share the fixed costs and to allow more transparency and social sustainability. Romania: GM Maize 1507′s Future Breeding Ground?